Asfar is committed to advancing equality and diversity, both within our own organisation, amongst our staff and volunteers and in others, especially our Young People, Youth Adults and Partner organisations in the UK, the Middle East and the rest of the World. 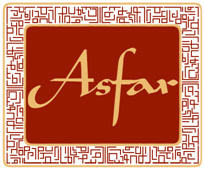 Asfar aims to create positive working environments which recognise and value difference. Both through our internal Equality & Diversity policy, staff training and positive relationships, Asfar works towards building an equal and diverse community. Asfar has recently become a member of the Fundraising Standard Boards (FRSB), the regulator of charitable fundraising in the UK. Asfar is committed to adhering to the very highest fundraising standards in-line with FRSB. Asfar is currently implementing our own in-house FRSB aligned fundraising strategy ensuring Asfar remains accountable in the way we raise our funds.